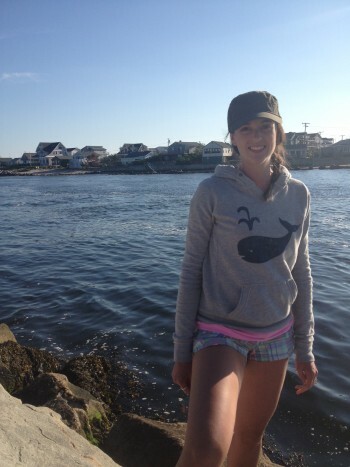 Who isn’t loving this weather! I am so happy it actually feels like Spring and Brandon and I can go outside and enjoy it! 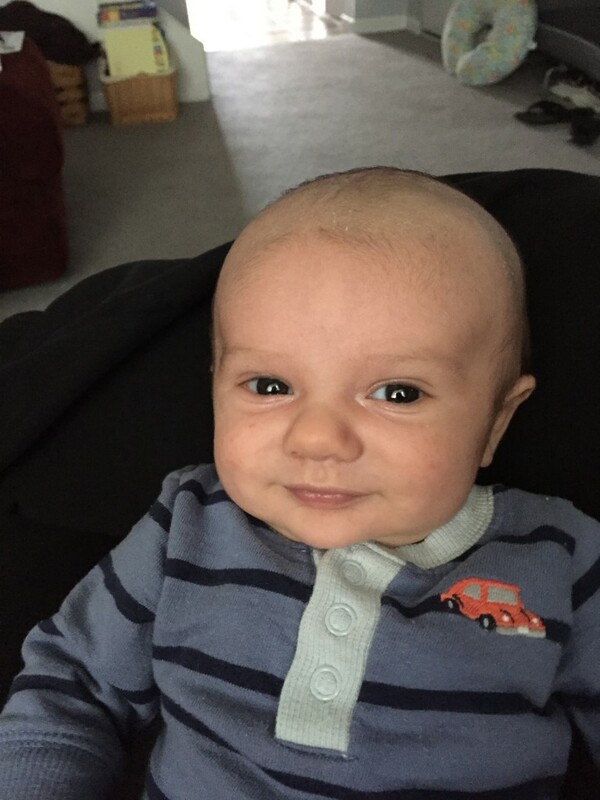 Things are getting a little easier everyday even though the little guy changes up his “routine” by the minute. I would like to try to keep him a little consistent but taking day trips throws things off and he doesn’t get a GOOD nap. Although, that meant that he slept like a champ last night! 10:30pm-3:00am and then again 3:30am-6:30am with no fussing. I’m totally okay with that plan. He has a “witching” hour between about 7pm and 9pm where he is just pretty miserable. He eats and eats and eats and fusses but I think it’s just his way of preparing to hibernate a few more hours. Brandon is signed up for Daycare which means this Momma is heading back to work in a few weeks. I have mixed emotions about it. I do get a little jealous when Kevin leaves in the morning as I kind of wish it was me for a change, but at the same time I don’t want to leave my little man SO SOON! My company is letting me start out with three days a week which will be amazing on the budget as well. Looking forward to that even though it’s going to be a HUGE change trying to get out of here in the morning. In other news, here are some pictures of the little guy since he is changing by the hour now! Brandon’s hair did fall out a few weeks back but its it’s starting to grow back in now so he doesn’t have a bald head! Only the top though, so he kind of looks like a clown! 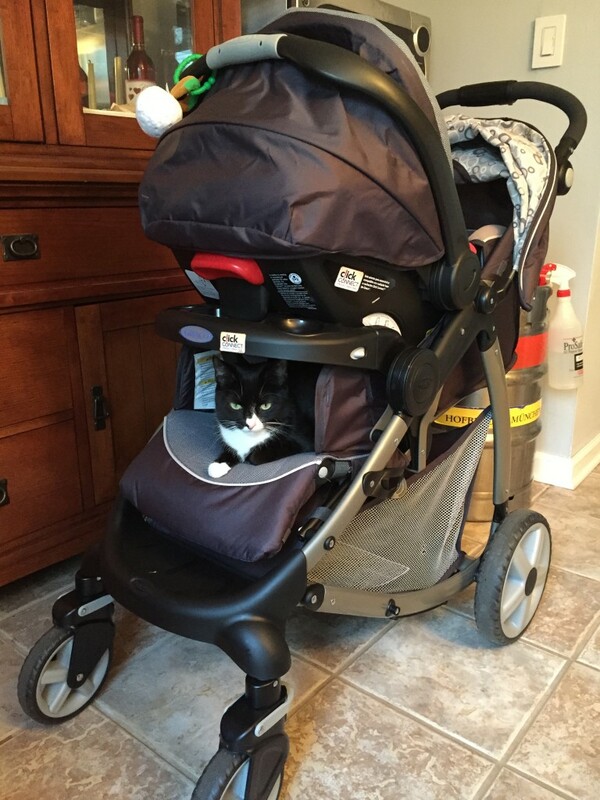 Zoe girl found a new home in the stroller. We just have to be sure to make sure she’s NOT in it when we decide to go for a walk. How can you yell at such a cute little girl?! 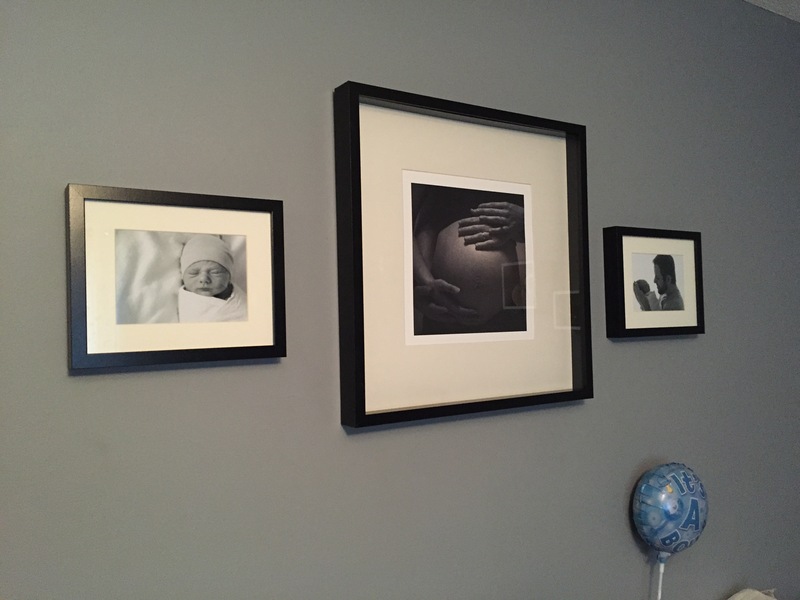 And lastly, Kevin and I ordered a couple prints from the hospital photo shoot and picked up some frames at Ikea over the weekend so we could finally hang them. Too bad little Brandon doesn’t look anything like that now. I love his little shrine. This entry was posted in Uncategorized on April 30, 2015 by Danielle Laroche. Happy Monday Loves! Lets talk FOOD and FITNESS! We all know I am kind of obsessed with being organized and doing lots of prepping of food and meal plans. Adding a newborn into the mix has made me even crazier with it. I understand “standing to eat” and “eating when I can”…who knew. 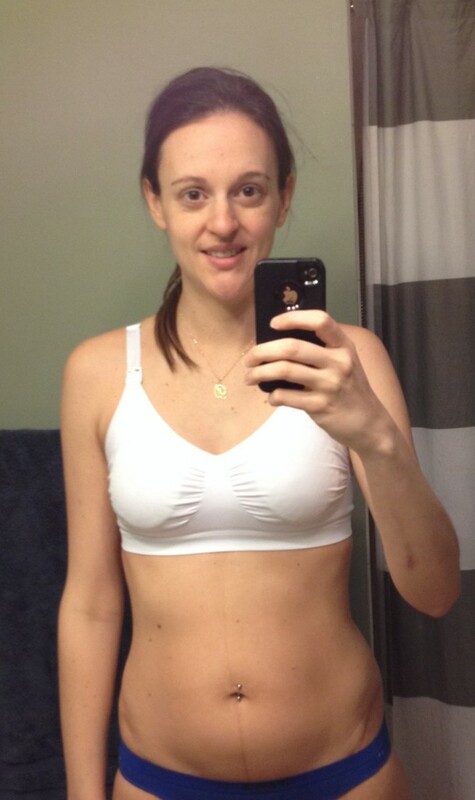 I had shared previously of the 6 week Bikini Challenge I was going to start and along with that came healthy eating. Luckily, we have been eating pretty well even when things are nuts around here and try to fit meals in between the 10 minute naps, etc. That also means we have to think well in advance to get things ready. Here is how I do it! 1) During nap time and after I wash the millionth bottle, I plan the meals I want to make and prepare the shopping list. Because meals have to be made quick and easy, the shopping list is not too bad. 2) As mentioned, look for meals that are quick and easy, but also healthful! We want fresh food and nothing processed. Go for veggies, beans, brown rice, turkey and chicken. Shop the perimeters of the grocery store. 3) Going along with the above, know what you will do during each nap time. First nap – wash dishes, second nap – cook/chop/prep. 4) Shopping. I try to go grocery shopping early Saturday morning so it’s out of the way. After that, I start prepping. 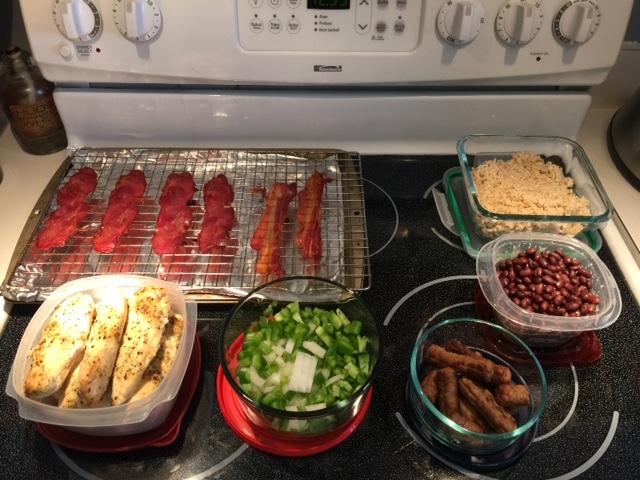 I cook bacon (in the oven) and sausage for breakfast – I also chop onions, peppers and drain beans for our breakfast omelets. I also bake some chicken breast or tenderloins and cook brown rice to have during the week on salad or for a quick dinner. Aside from the prep to help with healthy eating, I have been taking part in a fitness challenge as talked about in a previous post. 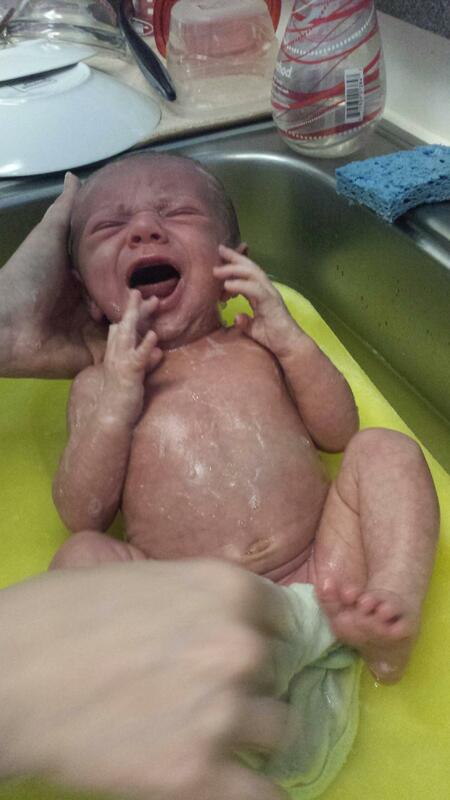 This has posed to be the most difficult thing to do with a newborn. I’m doing an Ab Challenge mixed with a 6 week Bikini Challenge. Wish me and my flab luck! This entry was posted in Uncategorized on April 21, 2015 by Danielle Laroche. 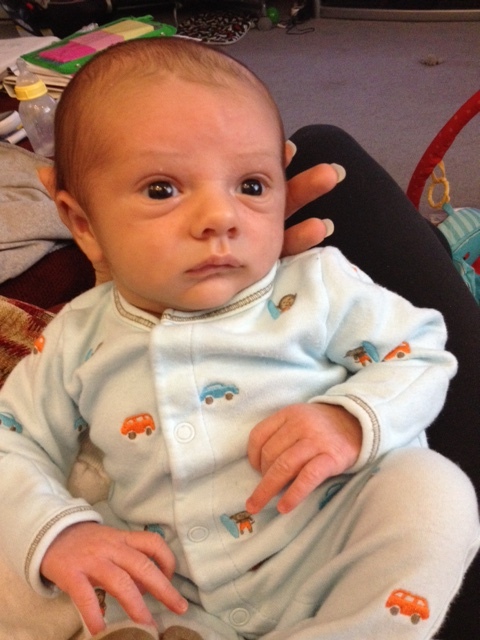 Clothes/Size: Brandon is still in Newborn sizes but he’s getting too long for them even though they fit everywhere else. 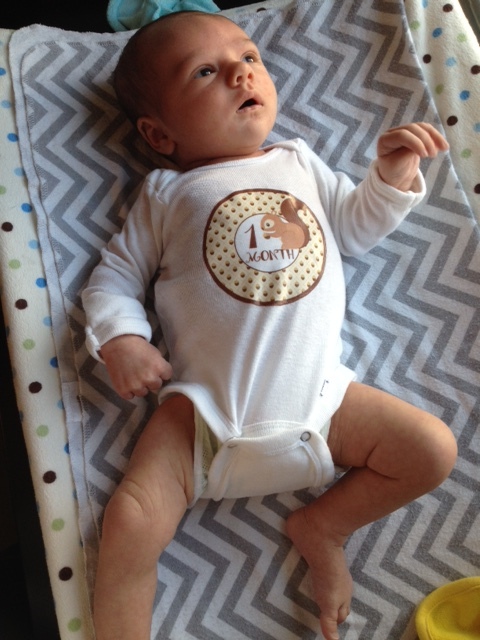 The 0-3 month clothes are pretty big on him. I put him in sacks that are open at the bottom most days and at night he gets swaddled. Favorite Foods: Brandon is still getting milk mixed with formula as I can’t satisfy him on milk alone. I guess it’s his favorite, he doesn’t have a choice at the moment! Diaper size: We ran out of Newborn diapers so tried out size 1 which are huge. I may go buy one more package of newborns to get us over the hump. How much am I eating: He gets about 1oz formula (Enfamil or Similac Supplement) with 2-3oz of milk which I pump. 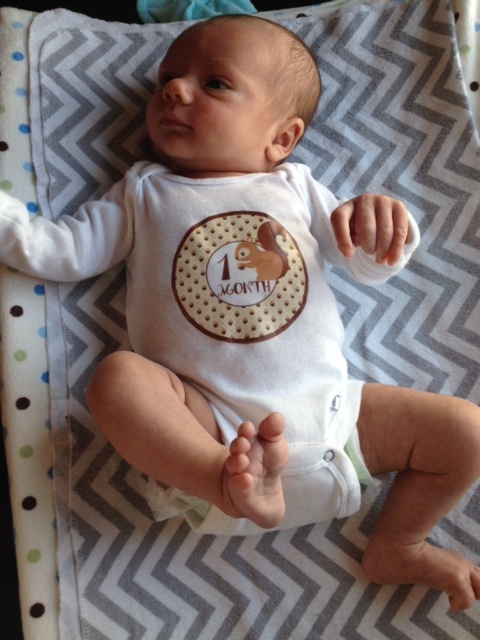 During the day he’s been snacking on 1-2oz instead of 3-4oz at a time which makes planning very difficult. Mama’s weight: I’m back in all my pre-pregnancy clothes. Weight is about 3lb higher than I was originally just need to work on getting back into shape which we’re working on! Activities: Brandon is pretty miserable most of the time unless he’s full or being held or sleeping. We have been doing tummy time which has gotten better and he likes his bouncer most of the time. Sleep: Brandon sleeps on and off all day and usually very well at night. He wakes up between once and twice at night and goes right back to sleep after he eats. Favorite Things: Bottle. All he wants is that bottle and to be moving. Signature Moves: No signature moves just yet. 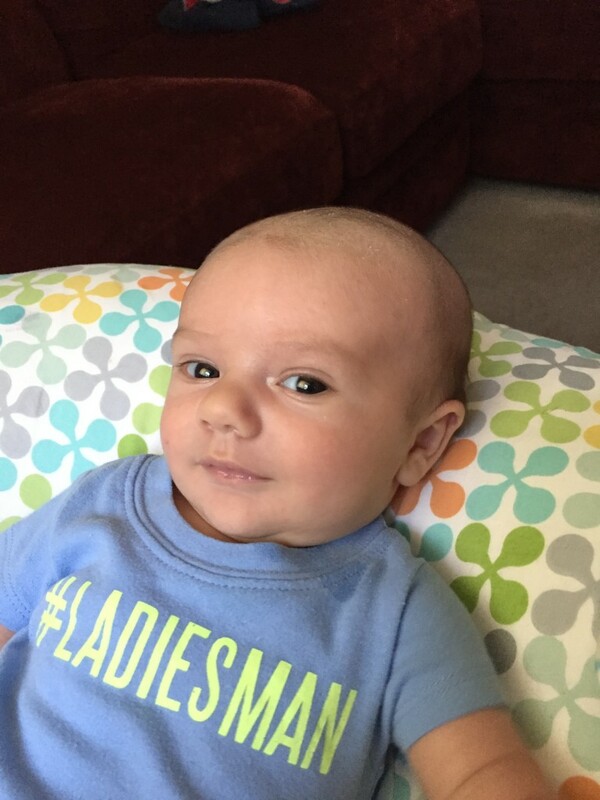 Mom’s Proudest Moment: Mommy is glad to finally getting into the swing of things and learning the needs of our little guy. 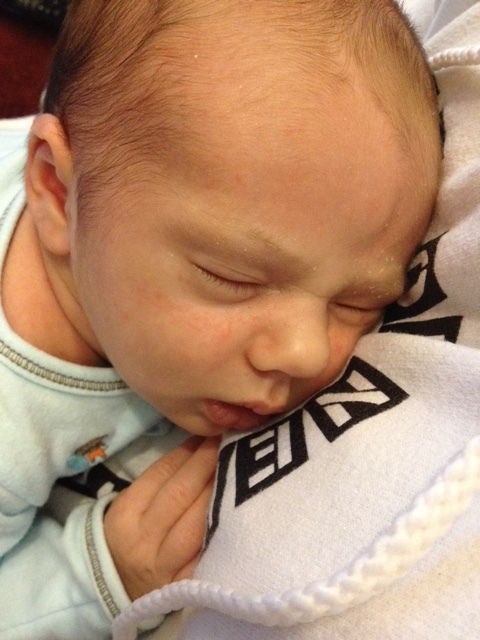 Dad’s Proudest Moment: Daddy was most proud the two nights Brandon slept five hours straight! Lets make that a recurring habit baby boy! This entry was posted in Uncategorized on April 16, 2015 by Danielle Laroche. Independence as I knew it is now nonexistent since Brandon’s birth which only means one thing…online shopping will come to an all-time high! I ordered some items from Ulta that I have been meaning to get for weeks. My goodies arrived today and I was only able to try a few so far. 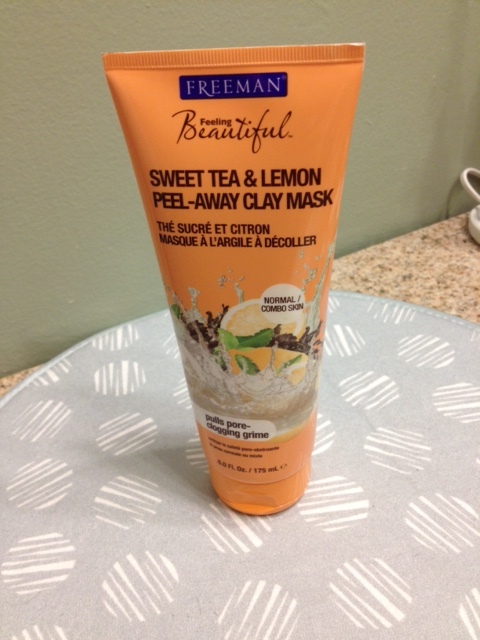 Tea and Lemon Mask / I had seen this mask reviewed on YouTube a few times and I’ve been in the market for a mask so this was the first item in my basket. LITTLE did I know it was a peel off mask. Guess I should start reading descriptions. Anyway, I used it tonight and I have mixed feelings. It literally ripped my face off and did not feel good AT ALL. However, my skin feels absolutely amazing right now and I finished with Hope in a Jar Night per usual. I’m not sure if I will keep this or not, my skin feels great but peeling it off was not my idea of a good time. 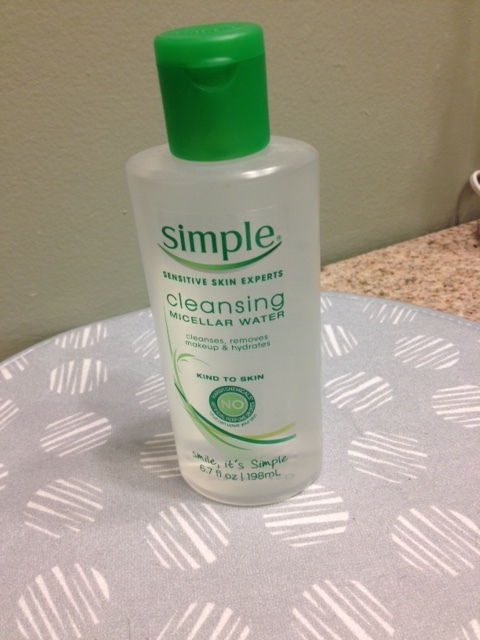 Simple Cleansing Water / This little guy I have been wanting to try so badly. Unfortunately, I have not used it yet but I will be in the very near future. I don’t see how it’s anything I wouldn’t like – unless I have some weird reaction to it or something. 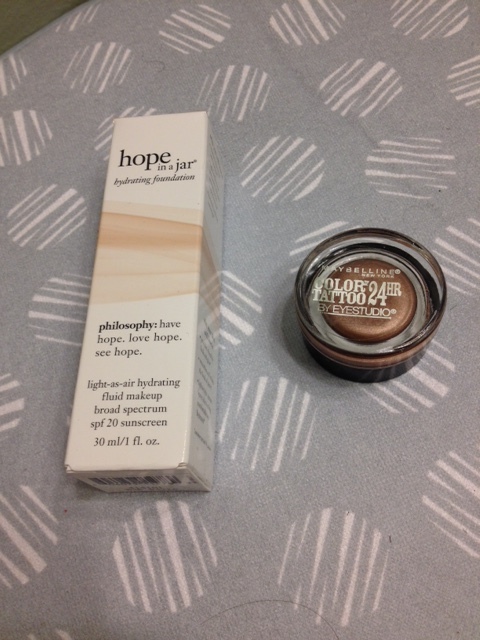 Hope in a Jar Foundation and Maybelline Color Tattoo Eyeshadow / I have yet to try these but the reviews seemed great. I’m actually getting the Foundation for a better price elsewhere so this will be returned – this is in the shade #5 (light/medium). The coverage is medium and it does have a fragrance to it which is pretty nice. Looking forward to seeing how this works. As for the Eyeshadow in Bad to the Bronze, it is a creamy shadow in a gorgeous gold/bronze color that I can’t wait to try out. The Philosophy set was free with any $50 purchase and we all know how much of a Philosophy girl I am! The perfume samples were also freebies with my order. 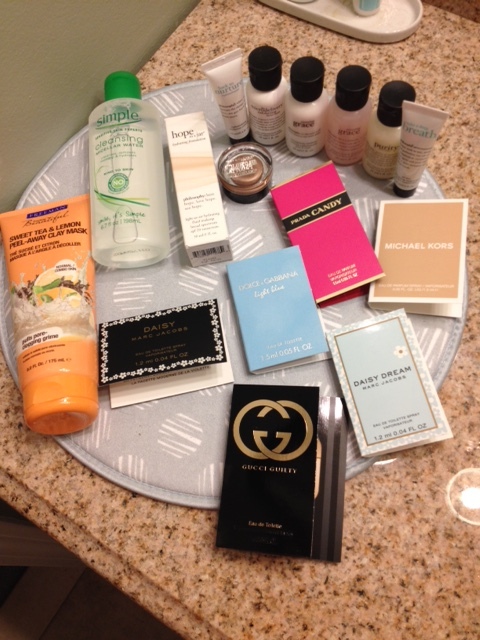 I wish I had an unlimited bank account so I could purchase all the things I really want from these beauty stores! But for now, just small orders here and there. This entry was posted in Uncategorized on April 14, 2015 by Danielle Laroche. I want to wish everyone a Happy Easter! 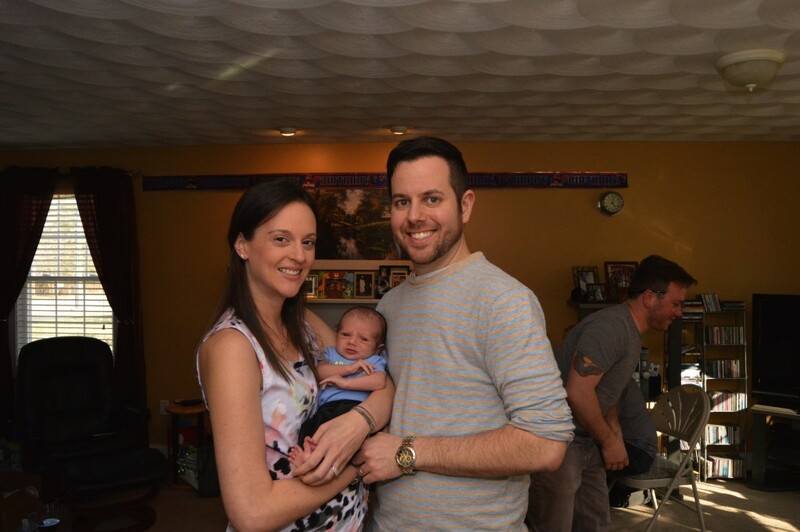 We are laying low this year as Brandon is only 3 weeks old. 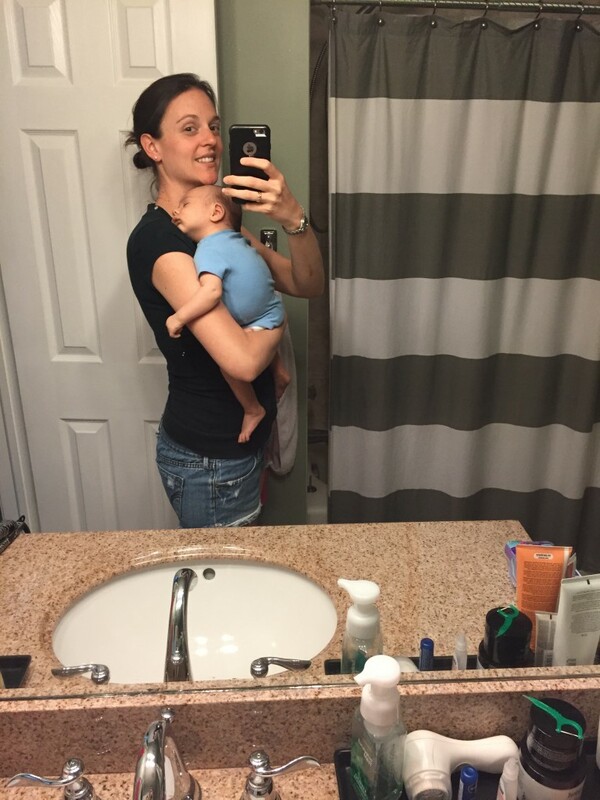 While we wait for his next feeding, color eggs and prep Easter Dinner, I want to do a quick post on things that helped me while I was pregnant, leading into labor and the first few weeks of being a new Momma! Some of these I have mentioned before so I’ll be focusing more on the labor/birth and postpartum days. 1 / I’m totally a stomach sleeper so the last 6 months of pregnancy were pretty awful. If it wasn’t for my Snoogle, I would have really gotten terrible sleep. This pillow was the answer to everything! I slept like a baby for most of my pregnancy with this guy. 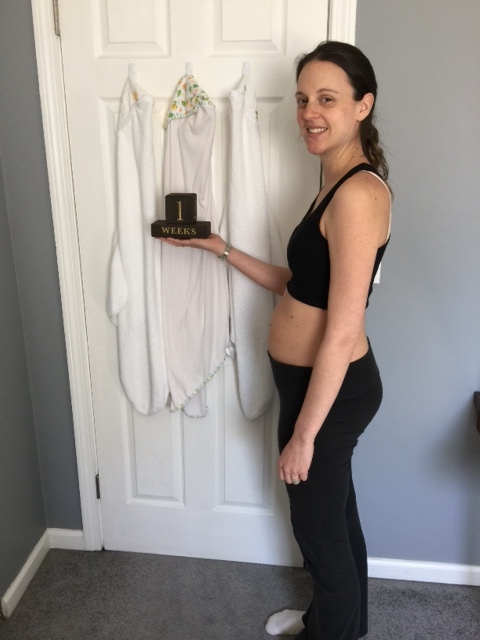 2 / I didn’t wear a lot of maternity clothes during my pregnancy as my belly wasn’t overly huge, the maternity clothes were all pretty big on me. I swear by H&M’s 2/$10 cami‘s and racerback tanks. They run a little bigger and are super long so they fit over my belly from 12 weeks to 40 weeks. Bonus, the size small can fit me even now. 3 / I wanted a natural, unmedicated childbirth for a few reasons – which I will keep to myself as it was just my personal opinion. Luckily, because my labor went so quickly my wish did happen and I was very happy about that. I came across the Bradley Method of Childbirth late in my pregnancy so I could not take any classes to prep my ‘coach’ and I for labor so instead I invested in Natural Childbirth the Bradley Way book which was amazing! It explains everything that is happening during contractions and birth, I feel that the more you know the easier it is to cope with work through the pain. It was always VERY helpful for Kevin as he coached me through every contraction and knew what to say and how to help me. It’s fabulous for couples, but I would recommend the actual classes too. 4 / Aden and Anais Swaddles. Enough said. These swaddles are amazing for nighttime to keep baby tucked nice and tight like they were still in Mommy’s belly. They are absolutely worth the $20 price tag. 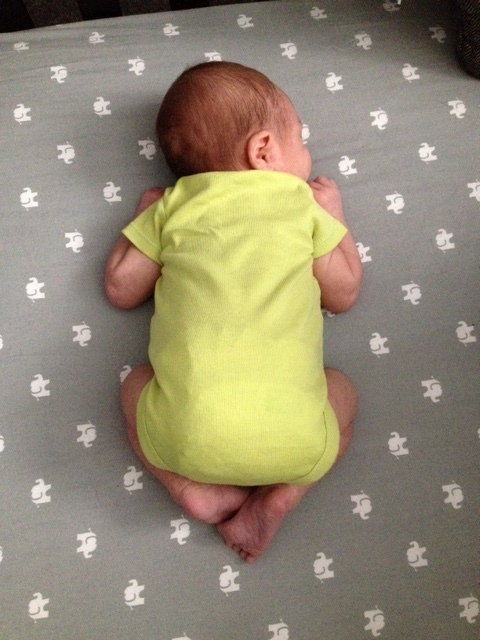 These fleece swaddles are equally as great and “pre-formed” so there’s no learning curve on “how to” swaddle. 5 / Any swing! We were lucky enough to receive a couple swings from Kevin’s sister and we are SO thankful for it because Brandon will not sleep anywhere except in the swing. This is a similar one and hands down worth it if your baby doesn’t like sleeping on their back at first. 6 / If you’re a pumping Momma then the Medela Bustier could be your breast friend. You can do other things while pumping instead of having both hands tied. 7 / My Mom and I went to the mall the other day and instead of trekking the stroller all around, I decided to give the BabyBjorn a try and Brandon and I just LOVED it. Our little guy loves anything in motion – car sides, swing, walking…so this has been a lifesaver for us – even around the house. 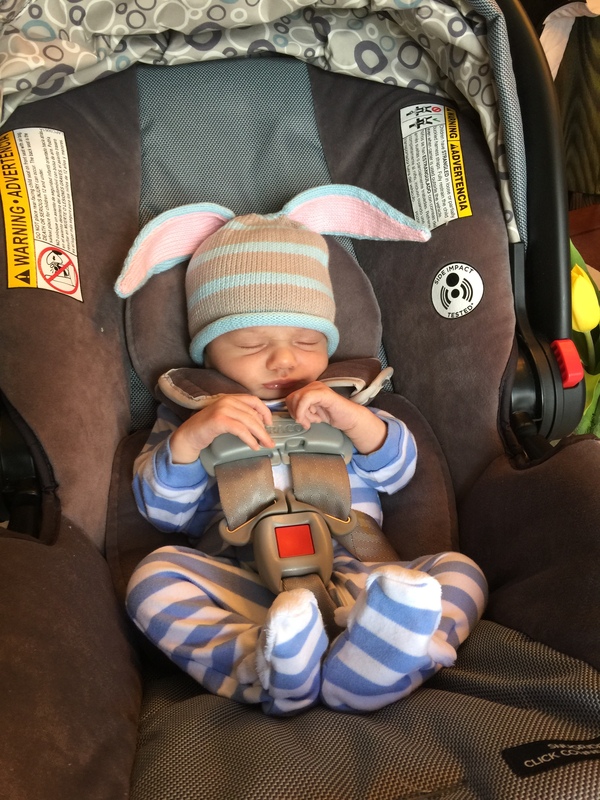 Happy Easter from our Peter Cottontail to yours! This entry was posted in Uncategorized on April 5, 2015 by Danielle Laroche.